This initiative will be conducted at AEON Group stores and offices nationwide until May 26 (Sunday). We appreciate your kind support and cooperation. 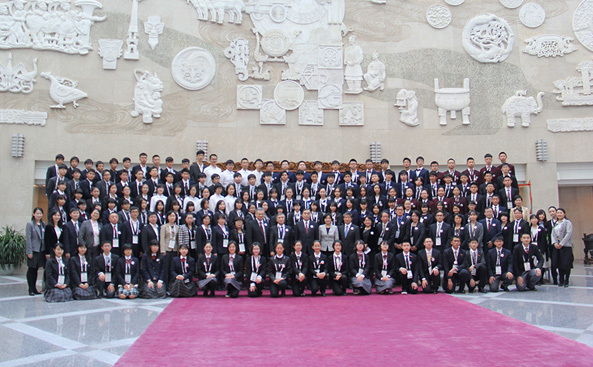 High school students from Japan and China visit each other's country to deepen mutual understanding and friendship at an international level. Now recruiting AEON Cheers Club members! 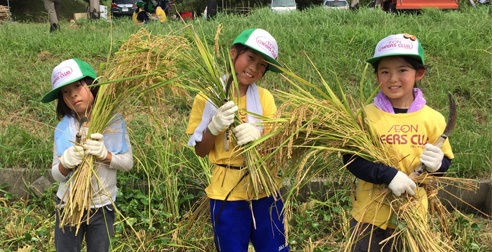 A Video Briefing for the Japan-Thailand Teenage Ambassadors Program was held on April 13 (Saturday) at Kaisei Gakuin High School in Muroran, Hokkaido. The AEON Cheers Club provides a setting for children from first grade of elementary school to third grade of junior high school to learn about rules and manners through group activities, while cultivating their interest, awareness and ability to think about the environment. In fiscal year 2018, the club carried out activities on the theme of Energy. 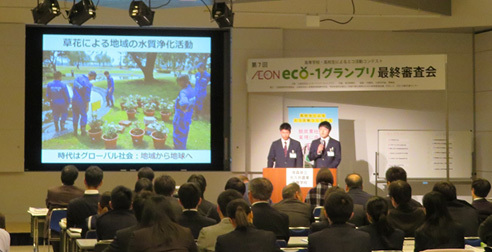 The eco-1 Grand Prix is a contest that gathers and recognizes eco actions taken on a daily basis by the next generation of high-schoolers, acting in school units. This is the event’s seventh season. On the theme of “Food” to nurture healthy minds and bodies and rich humanity, the Junior High School Composition Contest seeks to convey the feeling of gratitude for memorable meals and cookery to important people through the medium of written composition. 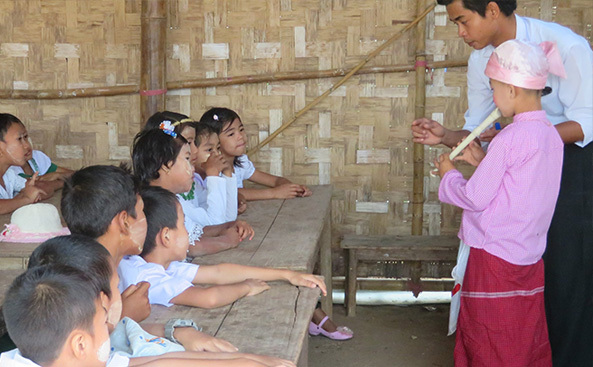 Based on the principle that basic education is indispensable for the realization of a peaceful society, since 2000 the Foundation has been supporting the building of schools in five Asian countries in which educational facilities are underdeveloped. 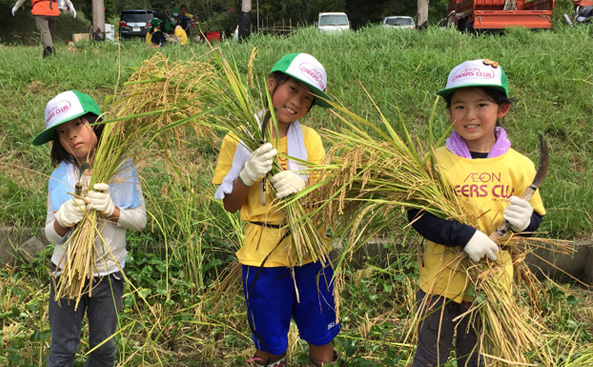 Up until now we have utilized donations from nationwide in Japan as well as the AEON 1% Club’s contributions, to complete the construction of a current total of approximately 417 schools. This is not limited to constructing school buildings, but also includes soft aspects such as the provision of water supply systems and training of teaching staff. 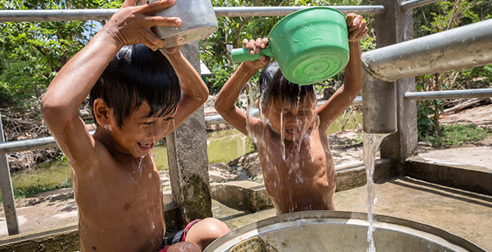 In some parts of Cambodia, Laos and Myanmar it is difficult to ensure hygienic water supply, and unhygienic pond water or groundwater which contains substances that may be hazardous to health is used as domestic water. In addition, some children are unable to study at school as their time is consumed by fetching water from far distances. The AEON UNICEF Safe Water Campaign was started in 2010 to support such children in both health and educational aspects. 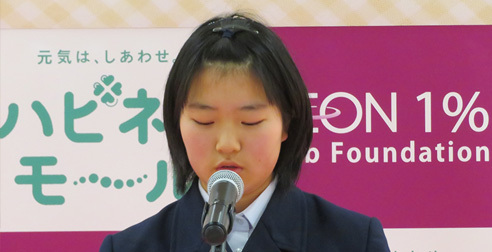 Through the Japan Committee for UNICEF, donations from AEON customers and the AEON 1% Club’s contributions play a valuable part in the provision of safe water and construction of water supply facilities. 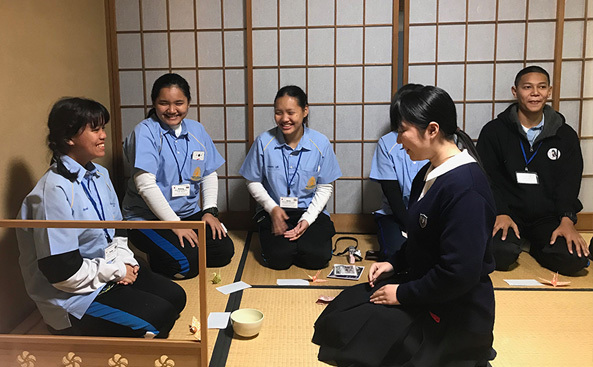 In this high school student exchange program, which started in 1990, high school students from Japan and other nations visit each other’s countries and strengthen international mutual understanding and friendship. Young people of the same generation yet with differing cultures, traditions and lifestyles, interact via three activities: Ambassador Activity, Exchange Activity, and History & Culture Activity. 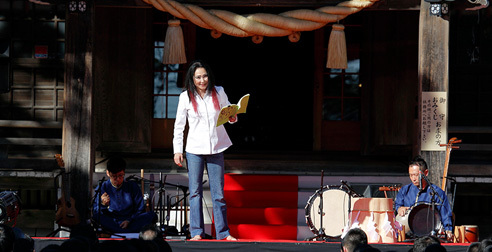 With initiatives such as inviting previous participants back to Japan for the hosting of reunions in 2005 and 2009, the circle of friendship that links Japan and various overseas nations continues to expand. 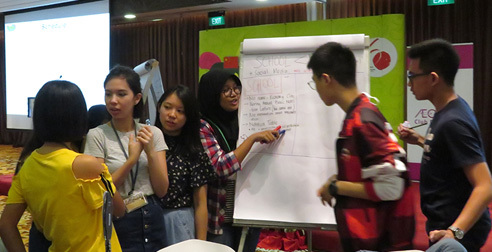 Asia Youth Leaders is a program in which young people from various Asian countries gather in the same room to take part in observation and lectures by specialists on the theme of social issues in the host country, followed by group discussions. Students from different backgrounds engage in substantial debate using English as a common language, and search for solutions to problems, resulting in the cultivation of global perspectives and attitudes that are accepting of each other’s values. Participants are currently studying “Food and Health” in a three-year plan that started in 2017. 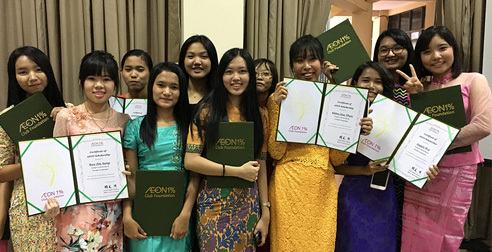 The AEON Scholarship is an allowance-based scholarship for university students in various Asian countries and self-financed Asian students studying in Japan. 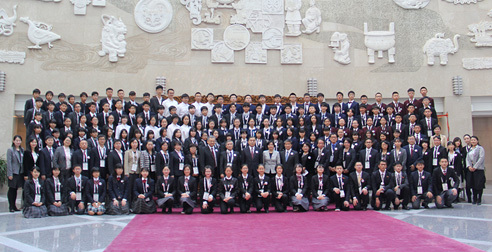 The project was started in 2006 in the hope that recipients will play an active role in the future connecting their home countries with Japan in their respective specialist fields. In addition to year-round financial support, the project offers opportunities for various study curriculums and volunteer activities aimed at scholarship students studying in Japan, and provides support for students aiming to develop into global talent. At the Scholarship Certificate Granting Ceremony held in the respective countries, scholarship students give speeches on their personal dreams and goals. As a member of regional communities, we are working to disseminate traditional culture and historical landscapes, which need to be passed down to the children of future generations. The Foundation also provides opportunities for people who live in such regions to strengthen mutual connections, and supports the creation of further enriched communities. The Foundation provides support for disaster relief and reconstruction so that people affected by large-scale natural disasters can resume their normal daily lives as quickly as possible. Furthermore, looking toward the future, we engage in initiatives to support enhanced development in areas affected by the Great East Japan Earthquake. 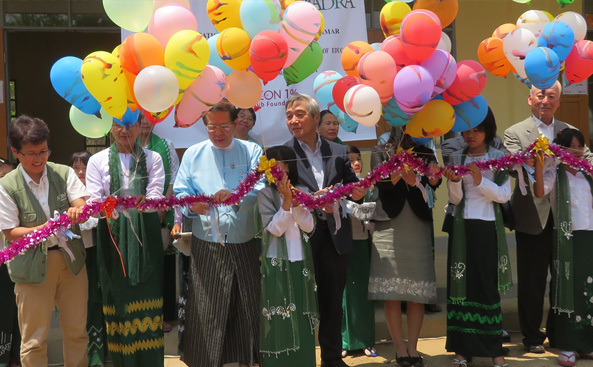 Myanmar School Construction Support Fund Opening the 56th School in Myanmar. Beginning of Support for Training course for Teachers. 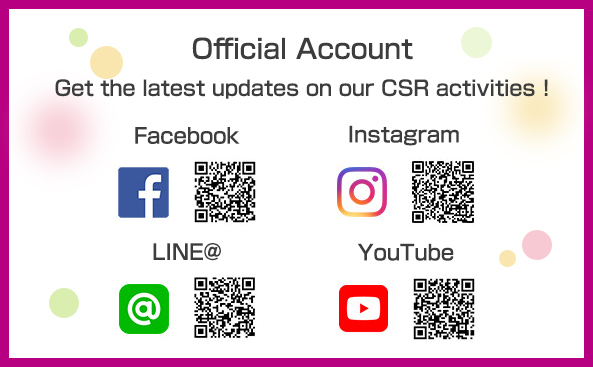 Get the latest updates on our CSR activities!